Taking a step towards curbing the rising of pollution to alarming levels, the Supreme Court has approved common pollution codes for Delhi and national capital region. 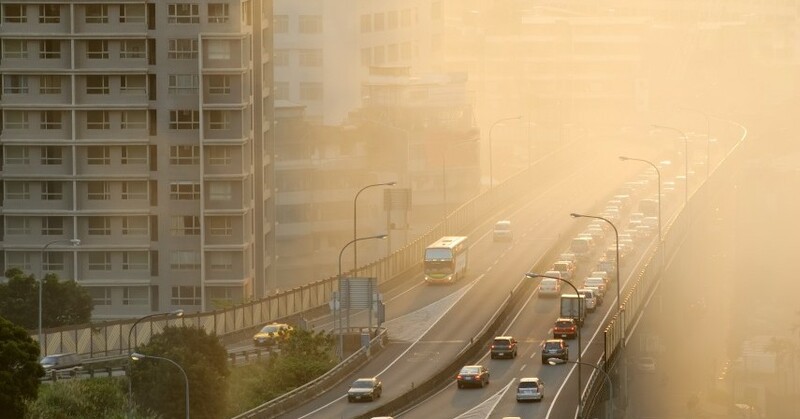 These codes, similar to that in Beijing, will categorise the severity of pollution into four categories — moderate to poor, very poor, severe, very severe or emergency. Some are debating what led to the crisis; others are thinking of ways to clear the smoke haze that has blanketed Delhi for a week now. The unprecedented rise in PM (particulate matter) 2.5 and PM 10 levels in Delhi — the tiny size of the particulate matter is the most lethal thing: the smaller the size, the greater the damage on human body — has led to the worst pollution-triggered weather in 17 years. Amid all this, new entrants have joined the league of the usual suspects that might have caused a crisis of epic proportions for the people of the National Capital Territory of Delhi in general, and the government in particular. For a city that already has the notorious distinction of being the most polluted city in the world, Delhi is getting worse with the rising number of cars. The increased construction activity, too, is doing its fair share of damage. In fact, dust from construction sites is one of the big reasons for the rise in PM 2.5 levels. However, it all got worst after Delhi celebrated a "fiery" Diwali. But, wait before you blame the citizens for this tragedy. They say the crisis was escalated by crop burning by farmers of neighbouring states of Punjab and Haryana. 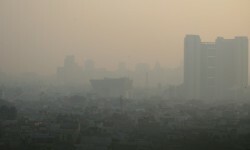 The System of Air Quality and Weather Forecasting and Research (SAFAR) says "a unique wind phenomenon that blew most of the smoke emanating from various parts of northern India towards New Delhi" is a key reason behind the dirt cover looming over the national capital. The winds are blowing against Delhiites this year, it seems. Now, whatever the cause may be, the tragedy that is being compared to the Great Smog of London in 1952 that had killed 4,000 people is causing deadly scares. According to a report by The Times of India: "The real-time readings of respirable pollutants PM 2.5 and PM 10 breached the safe standards by over 17 times at many places. The hourly AQI (air quality index) of monitoring stations run by CPCB (the Central Pollution Control Board) and SAFAR remained 500 plus, which is beyond the maximum limit." The "toxic cocktail can lead to more premature deaths in Delhi," Anumitra Roychowdhury of Centre for Science and Environment (CSE) told the Press Trust of India. According to CSE estimates, about 10,000 to 30,000 die in the national capital every year due to air pollution. This number will shoot up significantly if the present situation persists. The situation has left the Delhi government announcing hasty measures. Declaring that "we never anticipated air pollution would reach such alarming levels", Delhi Chief Minister Arvind Kejriwal has spoken of emergency measures to clear the city skies. Schools have been closed for three days. The odd-even road space rationale will be back to ensure there are less cars on city roads. The CM has announced a five-day ban on all construction and demolition activities in the city. However, Delhi Lt Governor Najeeb Jung on November 15 lifted the ban "in view of loss of income to daily wage labourers". The CM has directed the use bulldozers to put out fires that burn at landfill sites. The coal-fired Badarpur plant will be shut down for 10 days and fly ash, or the fine dust produced in coal-burning, will not be transported out of the plant during the period. Water sprinkling of all the roads will begin Monday, and vacuum cleaning from November 10. Diesel generators face a 10-day ban, except at hospitals and in emergency situations. Kejriwal wants the Centre's help to shower artificial rain through cloud seeding. The CM also wants people to work from home as much as they can, and has advised children and elderly to stay indoors. Without finding any faults with the noble intentions of the Kejriwal government, one can clearly see most of these measures are aimed at curing; the focus towards prevention has yet to shift. What are Delhiites doing to fight the air pollution that is making their eyes watery and mouths bitter? 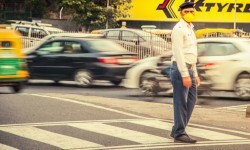 According to a report by Press Trust of India, air masks are short in supply with the growing demand beating it twice. "The masks that are available at prices ranging from Rs 90 to up to Rs 2,200 are available in various designs and patterns. The starting range of masks includes the ones that are meant for one-time use while the high-priced ones are fitted with air filters and claim to be to stop over 99 per cent of the pollutants as well as bacteria and viruses from entering the user's nostrils," says the report. A survey by the Associated Chambers of Commerce and Industry of India shows that in the past four days, the demand for air purifiers has also gone up 50 per cent in the National Capital Region. Buying masks and stopping construction activity will not address the crisis that is threatening to cause large-scale damages. As far as a dirty Delhi remains the government's concern, air pollutions levels might keep seeing new highs. We, as common people, need to act in the right direction. Sweet are the uses of adversity, great English poet and playwright William Shakespeare had said. 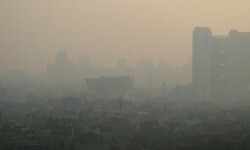 If the poet was right, the smog looming over the city that has left Delhi breathless may act as a wake-up call.